It’s my daughter’s turn for the 3rd grade estimate jar this week. We counted out a full 54 oz. 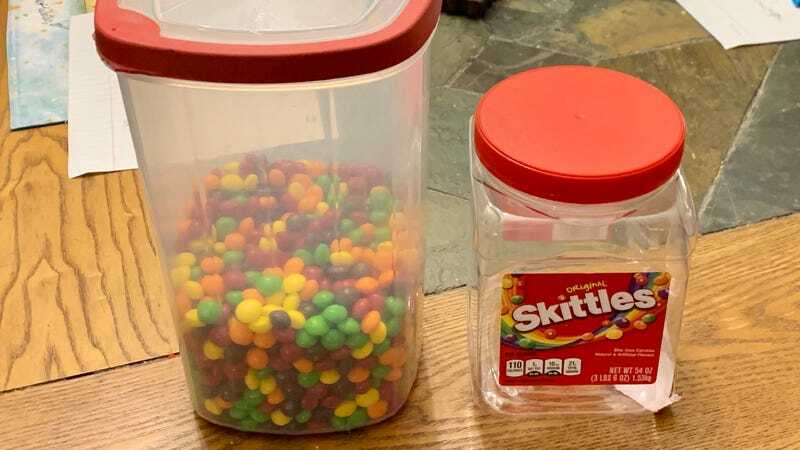 jar of Skittles. (We may have eaten a few.) What’s Oppo’s guess at the total? Update: WRXforSceince got closer than I expected anyone to - guess of 1,307 on 1,314.